Do you know your target customer? I mean REALLY KNOW who that customer is? 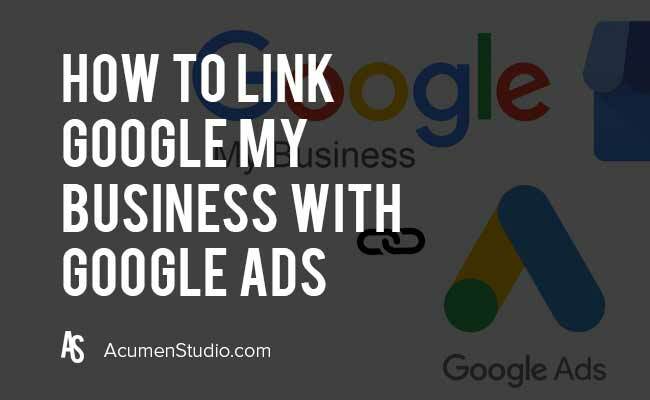 It’s very likely that you actually do, but the issue with ROI for most businesses when running ad campaigns online is that they don’t know how to target those customers online. 85% of B2B Marketers say they know their target buyer, but only 60% are confident in knowing what or how to get in front of them online. 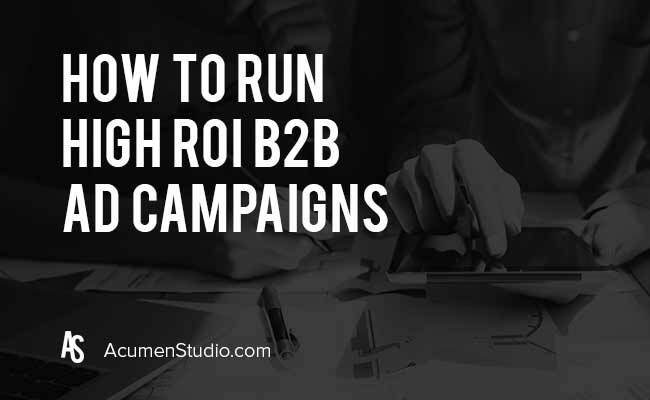 Here we’re going to talk about the specifics of how to ensure your B2B Ad Campaigns are successful and a big part of that is your targeting. Let’s explore how to effectively target these customers and how to identify what content to create and use when running these ad campaigns. Ensuring you are getting in front of the right people. You’ll see higher ROI, eliminate wasted ad spend and have something that actually works! Listed below is our recommended approach for a B2B ads targeting model. It’s important to note that using audience expansion targeting is not recommended until you’ve found a message and offering that works. This will ensure you don’t waste ad spend as you grow outside of the most accurate targeting options. This is extremely critical to the success of your campaigns. In most cases B2B companies know what their customers need and are looking for. But you can only say that so many times before people start ignoring it. Do this to find new content that will get your customers thinking about you and buying from you more often. Doing these two things will give you exactly what you need to get more traffic, phone calls, leads and more sales! Google Plus social network will be shutting down soon from security issues and lack of use. Google Plus has been around for seven long years. When Google Plus first came out Google had employees use it and wanted them to encourage others to use it. Google+ even influenced search results to get more people to use it. For a short time the more +1s a company received the higher their rankings started to climb, until Google slowly stopped pushing Google+ then less Googlers were posting on Google+. Some people liked Google Plus and others absolutely hated it causing a slow death to Google Plus. Google Plus data breach was the final straw in killing the Google+ platform. Here’s how it happened, in 2018 Google started Project Strobe reviewing third-party data access and privacy controls. Project Strobe discovered users were not using Google+ and discovered data privacy issues with APIs. That’s when Google discovered the bug and patched it right away. However, they still covered it up and never told anyone until later. 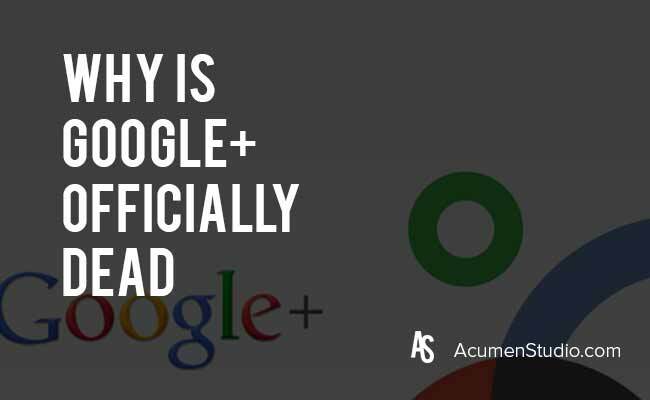 This affected 500,000 Google+ accounts with 438 applications using the APIs. 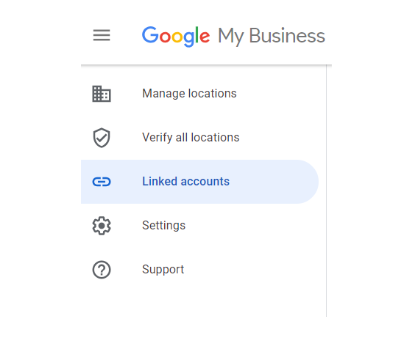 Although, Google didn’t find any evidence of Google+ user data being abused they decided to end Google+ and put it to rest. Consumer Expectations and maintenance. Google+ wasn’t meeting consumer expectations and the challenges of Google+ APIs were complicated. Consumers wanted more control over the data they share. Google is implementing more control over access. Instead of one screen of requested permission we will start seeing separate requests for each one. Consumers didn’t like granting access to apps to their data. It’s finally happening, not all apps will be able to get your information. Google is limiting the amount of the apps that can get permission to your Gmail information. Apps that enrich email will be the only ones authorized to get your data. This includes email clients, backup services and email productivity services from mail merge and customer relationship management systems. Call Logs and SMS permissions limited on Android devices. Android Contacts API will no longer be able to get your contacts list information. Google+ was already dying way before the security breach. Google+ consumer engagement and usage dropped with most sessions only lasting five seconds or less. Most people argue that Google+ is designed for Google and not the consumers. Google+ was dying, but the final death of Google+ was the security breach the bug that ended it all. Maybe, Google has something better up their sleeve time will tell. 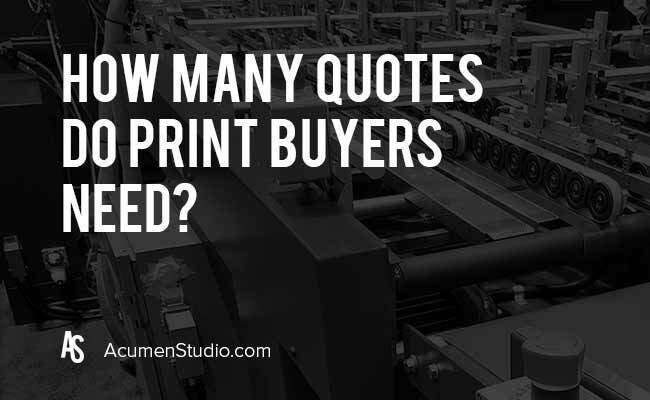 How Many Quotes are Print Buyers Getting Online for Their Print Projects? Have you heard this from a potential print buyer at any point in your career… “I’m getting a few quotes before I make my final decision.”? Of course you have. And it makes sense for a buyer to want to get quotes if price is a concern, which it always is at some level. But the question is how many quotes do they typically get? And is there a way to convince them to just use you? The numbers are in and the short answer is 3 quotes, and Yes you can get them to work with you most of the time. There are a number of reasons why 3 quotes is standard which we’ll discuss here and how you can get them to go with you more often. Why Do Print Buyers Get 3 Quotes? The reason most people get three quotes is due to our psychology. It’s natural to go with 3 because 1 is a mandate (your being forced to go with it), 2 is an ultimatum (and to a lesser degree feels forced), but 3 gives the decision maker control. With three options a buyers feels they are making an informed decision based on their own due diligence which they can justify. But consumer agencies and leadership are influenced by the same things, psychology and science. It makes sense to mix in a little of the science thinking on this because if your primary focus is on price then the 3 quotes can be equated to 3 tests of price and the quote with the lowest is the potential winner, same with other variables such as timing / deadlines, finishing or binding capabilities, etc. These customers are testing the marketplace! In addition to the three quotes there are typically three types of print buyers getting quotes. Below are the paths they take when getting their quotes. How to Win the Quote Every Time. Here’s the really good stuff. Now that you know the psychology of the buyer wanting to weigh their options it’s easy to use that in conversation. But there are a few factors you need to deal with as you go in to close every lead that comes your way. If a lead comes through your website every minute you don’t contact that potential customer the less likely they are to become your customer. This is true across all quoted businesses. It’s a Fact! Same holds true for the phone. Don’t let a message get taken if you can avoid it. The sooner you get to them the better. By doing this you’ll have the chance to close them before anyone else does and you can beat the 3 quote rule. This is obvious but easier said than done prior to contact. There is a fine line between how much you ask for on a web form to not scare them off and then how much you ask for on the phone to get an accurate quote. You don’t want to push too hard in getting information because it will feel like a burden to your prospective customer, but on the other side you don’t want too little so you don’t frustrate them. On your quote forms ask for the type of piece they wanted printed and the quantity. This will give you the perfect starting point and internally you should be able to have a go to range of costs that can be shared with them, but once you connect to get more detail now you can ask the few more questions you need to give them a fairly accurate quote. Things like paper, finish, binding, etc. And at this stage you can let them talk, because most customers will talk long enough to get the details you need. Now if you’re new to the industry this will be tougher and require studying on your part to become very knowledgeable, but you have to do it. For the majority of us who’ve done this for awhile we have the go to knowledge to wing it and give them the answers they need for the most part. But it’s a fact that you MUST be ready to answer every question the customer has in order to gain their confidence, trust and business. This is where you can close the deal every time! At this point you are able to tell them how you differentiate, what they’ll experience when getting other quotes in your market, the price differentials they will come across, etc. Giving them all of this up front allows them to not have to go through the work of getting more quotes. You’re arming them with all they need to know. Having PDF’s or videos explaining process, pricing and production are also HUGE helpers for you in this phase of the closing the deal. The more you have and the more you know will dictate how much more you will close. This too is a FACT! Now that you know what the print buyer is thinking, how they intend to quote their project and what you’ll need to be their print partner every time it’s time to get back to selling! Go get it and make it happen. Contact us using the info below if you’re interested in hearing more about how we help companies in the Print Industry generate more traffic, more leads and more sales. Last year we decided that we needed to find an organization that was making a Huge Difference in people’s lives that we could give back to by donating our money and our time. We often get caught up in what we are doing… Increasing Visibility for businesses, Generating Leads, Getting them More Sales… but the fact is that we know the value of what we do at Acumen is really creating opportunities for people to live and enjoy their lives. In 2018 we partnered with Good Meets World to find a that organization which matched our values and was changing lives. After identifying a few non-profits that we believed met that criteria we held a vote at our office to choose who we would support for years to come. The vote was in and our choice was clear… Friends of Kids With Cancer. We are honored to Give Back and excited to share with you in hopes of inspiring you to give as well.